Bank GK, Latest GK, Reet Exam GK, Rajasthan police Exam Gk, And Date Wise 29-12-2017 GK Notes Delhi Police Exam GK, SSC CGL Clerk GD Exam GK, HTET Exam GK, CTET Exam GK, PTET Exam GK Questions. 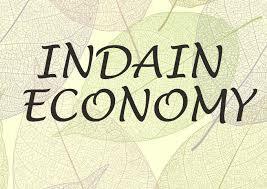 General Knowledge questions on Indian Economy And World Economic Set 17 and The Finance Commission is a constitutional body which is constituted by the President of India to divide Central Government’s taxes into all states. In this article, 10 questions related to Finance Commission are given which will be very useful for upcoming exams like IAS, PCS, SSC, CTET, RTET, REET, HTET and Lecturer, Second Grade Teacher and Third Grade Teacher Exam, and Rajasthan, Delhi Police Related Study material And All competitive exams and will increase your intelligence skills. Question (1) Which is under the business? व्यवसाय के अन्तगर्त आता है? Question (2) What is India’s most important small-scale industry? भारत का सबसे महत्वपूर्ण लघु उद्योग कौन-सा है? Question (3) When was the first agricultural calculation done? प्रथम कृषि गणना कब की गई थी? Question (4) What percentage of the GDP of agriculture sector in India is spent on agricultural research? भारत में कृषि क्षेत्र के GDP का कितना प्रतिशत भाग कृषि शोध पर व्यय किया जाता है? Question (5) The most disappointing result of Green Revolution was seen in which crop? हरित क्रांति का सर्वाधिक निराशाजनक परिणाम किस फसल में देखने को मिला? Question (6) Who is the exponent of the word Green Revolution? हरित क्रांति शब्द के प्रतिपादक कौन है? Question (7) When did the Operation Flood Program start? ऑपरेशन फ्लड कार्यक्रम का प्रारम्भ कब हुआ था? Question (8) Which is the relation of blue revolution? नीली क्रांति का सम्बन्ध किससे है? Question (9) What is the location of India in the field of fish production? मत्स्य उत्पादन में भारत का विश्व में कौन-सा स्थान है? Question (10) Which is India the place of coffee production in the world? विश्व में कॉफी उत्पादन में भारत का स्थान है?